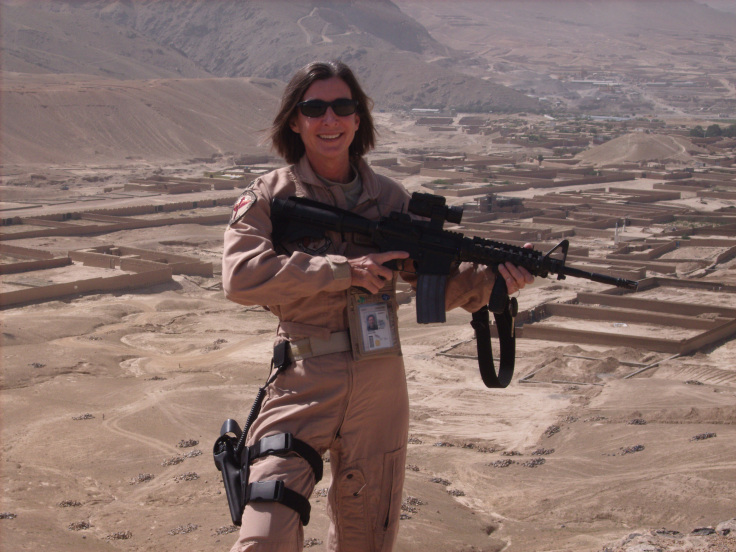 MSgt Tara Jacobs Brown was a woman of substance. She was smart, dedicated and patriotic. She believed education was exceptionally important and a post secondary was the key to not just professional success, but professional happiness. She was a leader at work and among her friends. WHile an Air Advisor, teaching Afghan Airmen their jobs and to be professional Airmen, she never stopped pursuing her own education. It didn’t matter that she was halfway around the world from her husband and her home. It didn’t matter that she worked seven days a week, 12 hours a day, or that she lived in a 7’x16′ container that she shared with another NCO. Tara kept up with military courses as well as college classes online. Her commitment to her studies despite 80-hour work weeks and extremely austere living conditions all in a combat zone were an inspiration to all who knew her. This is why it’s so appropriate that Tara’s legacy be carried on with an educational scholarship. I don’t think anything would make Tara happier than knowing a student is getting help in pursuing their passion, all in her name.